FireFox is well known for his browser, which is one of the top 5 most used browsers in the world! As android is developing day-by-day, it is leading the mobile OS, and also giving rise to huge competition, so every one in the mobile market seems to concentrate on rising smartphones concept! 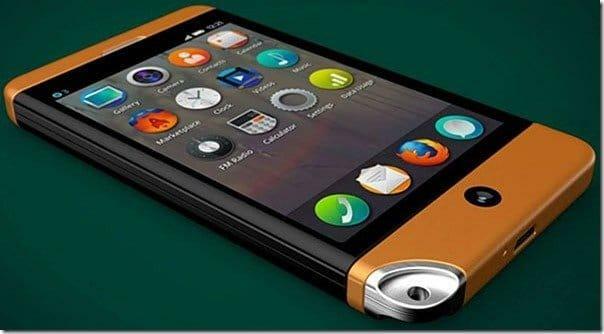 This concept firefox smartphone resembles Iphone as the design is completely looks like Iphone even the curves of the phone seems to be like Iphone! There is a home button or may be a trackpad at the center and the UI seems to be very pleasant for users! when it comes to trackpad, we might be thinking Blackberry phones, but what’s so special in this FireFox is it’s low end specifications, as per this the cost of this concept might come around 100-150$ which is a good budget smartphone and apt for new users who are going to try a new kind of OS other than Android and windows 8.
we can see a microphone and micro-USB slot at the bottom, at the lower left corner there is a large hole of sturdy aluminium block that is a lanyard which gives more attraction to this concept. 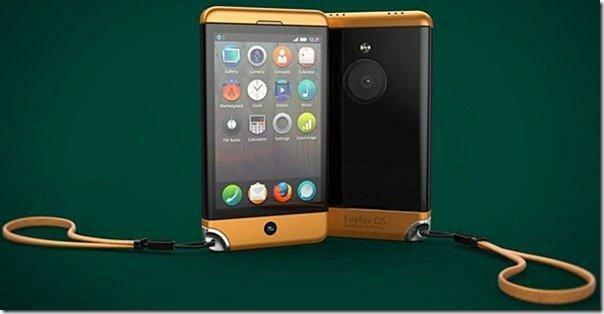 At the rear side of the firefox smartphone there is a flash and a huge camera, which making me to think of lumia phones, but the actual specifications of this concept is not yet known as it is just a concept by Designer Jonas Daehnert. There is a possibility that FireFox might give a chance chinese mobile phone manufacturers like LG, to manufacture this snartphone.